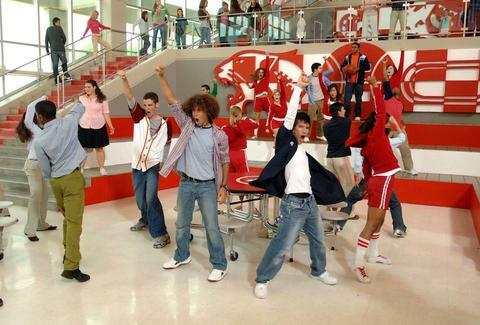 Start your Memorial Day weekend with a spirited rendition of "We're All in This Together" from High School Musical. Actually, don't. That'd be weird But, do add this Disney Channel original movie marathon to your already busy Netflix binging schedule. It's totally not weird. The Disney Channel is airing 51 of its most popular original movies this weekend, and yes, High School Musical is included, and yes, so is The Cheetah Girls (Both on Monday 'cause Disney likes to make you wait). The marathon runs from May 27 - 30, and Disney will reportedly continue to show its OGs on the regular into June. The nostalgia-intensive marathon should serve as a much-needed reminder that you never realized your goal of becoming Kim Possible, or dating Kim Possible. But hey, It's never too late. Actually, yes it is. Also, she's a cartoon. Check out the full schedule as published by Entertainment below, and then cancel all your travel plans. You're way too busy for real friends now. Plus, you have Zac Efron. 4:25 am. : Alley Cats Strike! Kara King is a News Writer at Thrillist and just made weekend plans. Send news tips to news@thrillist.com and follow her at @karatillie.